One of the kids’ favorite events (and teachers too!) 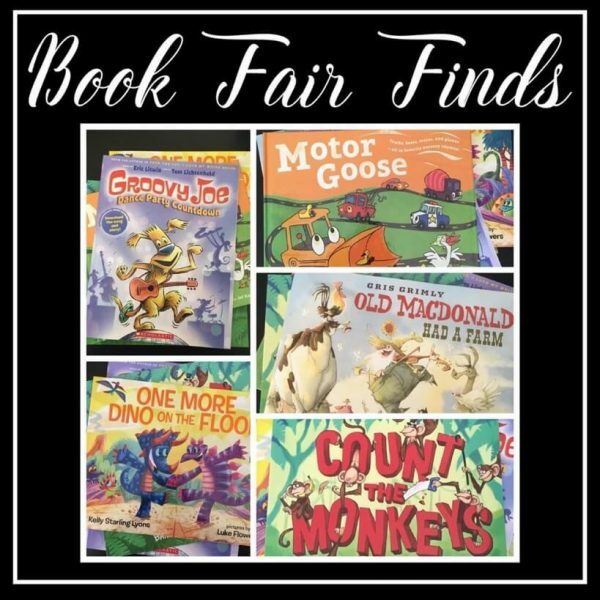 is the book fair! I always pick up a few books when it’s here, but this time I was super excited to see a bunch of different books for my younger students! 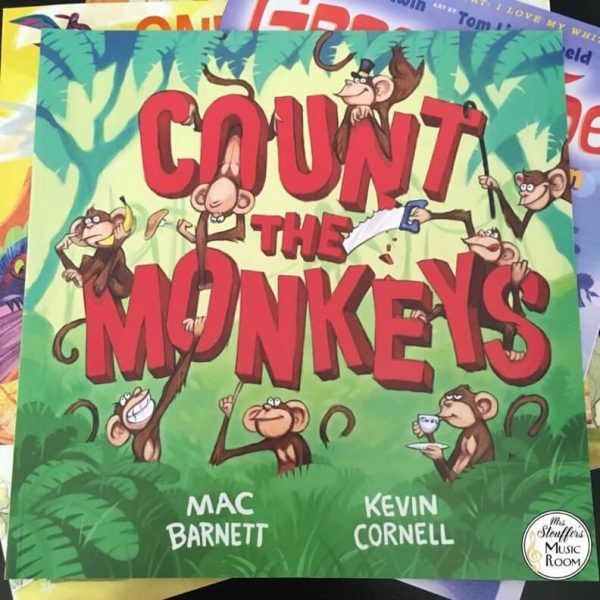 Count the Monkeys: A cute counting book that would work really well to end a lesson with ANY monkey song. You have to turn the page to count the monkeys…but they sorta don’t ever show up because all the other animals are chasing each other. 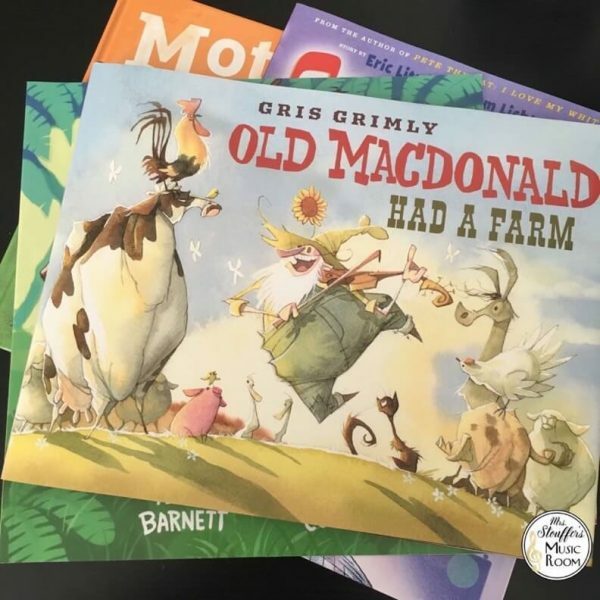 Old MacDonald Had a Farm: Exactly what you’d expect, until the end (I won’t give it away, but there is definitely a strange animal on this farm!). Beautiful illustrations. This was my bookfair splurge because it was too pretty to resist. 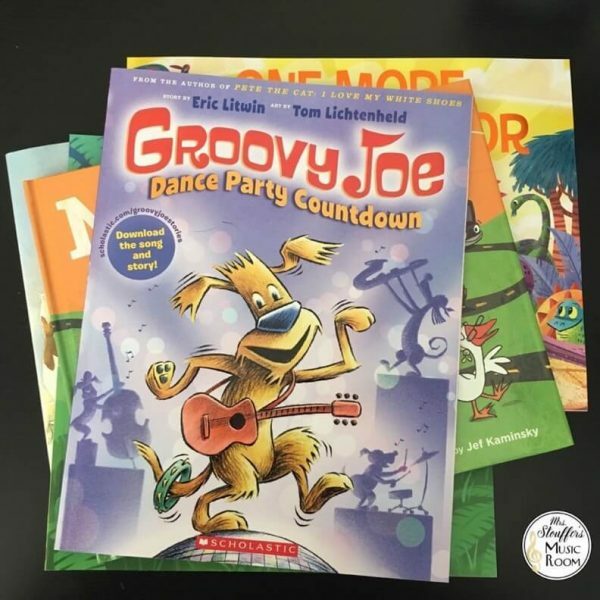 Groovy Joe: A dog with a guitar is having a song-singing party and other dogs keep joining him. There is a downloadable song AND a Spanish version! 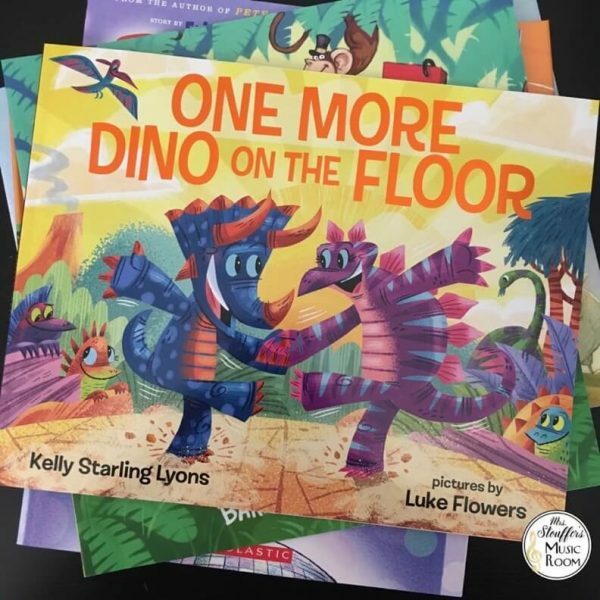 One More Dino on the Floor: Counting dancing dinosaurs. A T-REX roars at the end, and then joins them! 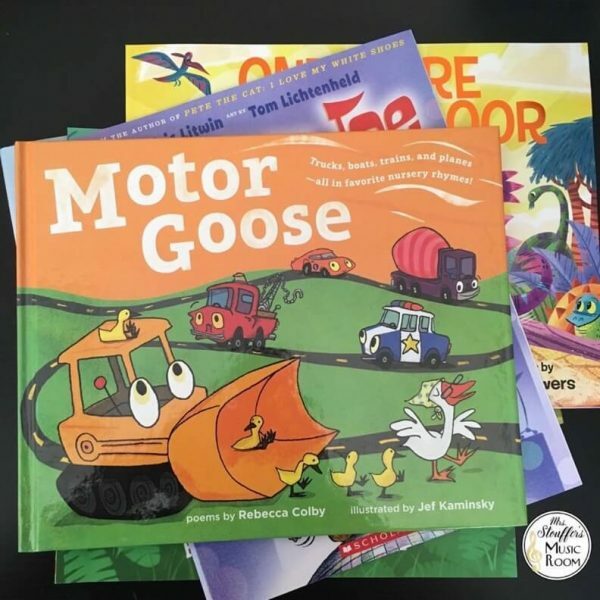 Motor Goose: I adore nursery rhymes for my younger kids because of the rhythm and language…but I don’t always love the themes or extra verses. Some of them are just a little heavy for me, personally, and I don’t want to be the person that introduces certain themes to kids. I just don’t like pushing the limits. This book is SO clever and has taken nursery rhymes (many of them singable!) and rewritten them with a transportation theme. This was my favorite of the books I bought! What new books have you picked up for your classroom recently? I’d love to add to my library!